Tired of the way your JK looks? Give it an extreme makeover that will give it the looks of yesteryear with the M715 Conversion Kit. 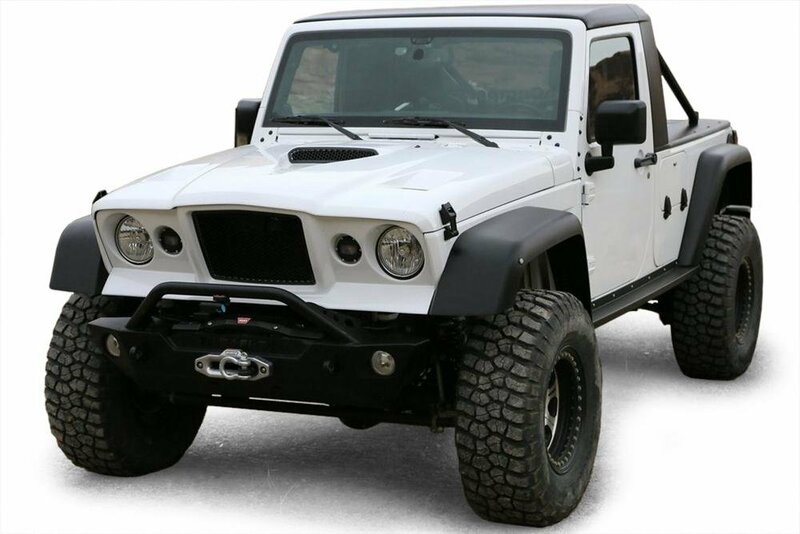 This kit will turn the front end of your JK into a classic Kaiser looking Jeep. With the extra 2" in height and 1" in width you will be able to run larger tires so you can show off your classic looking JK on the trails to all your fellow off-road enthusiasts. 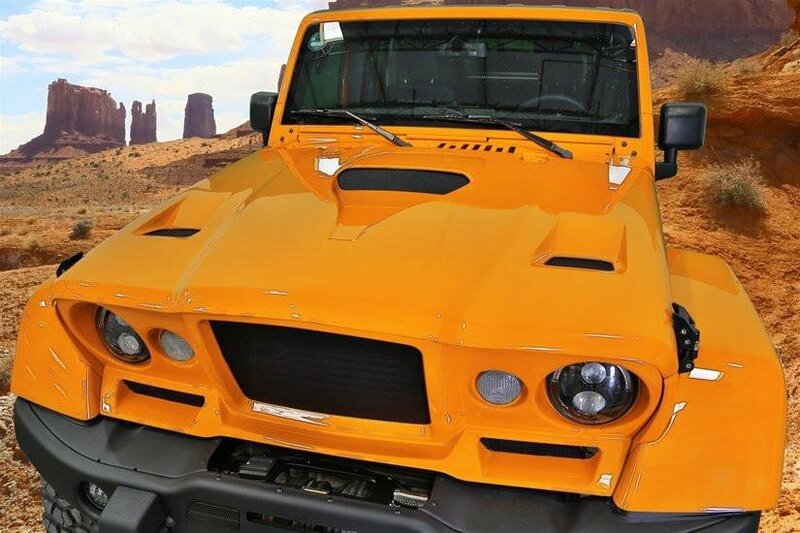 Front Conversion Kit: This fiberglass kit comes with everything you need to transform your Wrangler JK. From the front fascia to the grille inserts plus another bonus is being able to reuse your factory turn signals & headlights. Retro Design: Turns your car into an instant show car with this Kaiser M715 inspired kit.